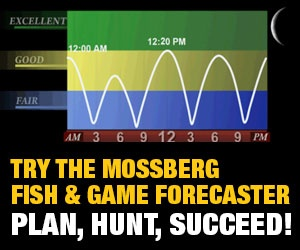 Mossberg Blog | Five Mistakes Turkey Hunters Make | O.F. 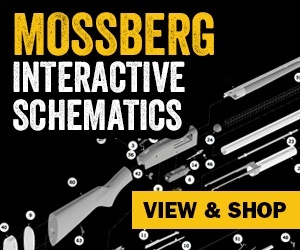 Mossberg & Sons, Inc.
Spring turkey season is finally here once again, and countless hunters are heading to the woods in search of gobbling toms and adrenaline-fueled hunting adventure. But for most, the hunt will end with an unfilled tag still in the pocket. Turkeys are tough. Successfully hunting them won’t come easy. As hunters, we’re also guilty of making our own fair share of mistakes that lead to going home empty-handed. Here’s a look at five mistakes turkey hunters make each spring when hunting one of the toughest birds in the country. A lot of turkey hunters blow the hunt before it ever really gets started in the way they approach the roost. Despite their pea-sized brain, turkeys are pretty sharp. Don’t think you can just walk right up on them as the day breaks and expect to call them to you. If turkeys see your approach in the early morning light, they’ll rarely come in your direction. If you want to get in close to the roost tree, you have to go in early under the cover of darkness. No flashlights and zero noise. Get in while they’re still snoozing on the roost and you’ll be in for some exciting action. Get in early before daybreak to go undetected from the eyes of a gobbler on roost. Once you’re in position and have a bird where you want him, you’ll naturally want to throw a myriad of calls in his direction. We love to make turkeys gobble, so we tend to call a lot. However, our excessive calling typically does more harm than good when it comes to a turkey’s response. Sure, he may be gobbling his head off, but chances are, he’ll stand out there and wait on you. That’s the way they were created. By design, the hens are supposed to go to the tom when he gobbles. Over-calling will cause him to hold his ground or grow suspicious of your calling routine. Learn to call soft and subtle. Know when to call and when to keep your mouth shut. Knowing when to call and when to keep quiet is a skill that comes with experience. Patience is a virtue when it comes to turkey hunting. It’s not much different than fishing, or anything else for that matter. You want success? Learn to be patient. Impatient hunters are a turkey’s best friend. Turkeys live longer because hunters can’t seem to learn to sit still and be patient. A gobbler leaves us and we feel like we must immediately chase after him, only to bump him, sending him into the next county. Keep in mind that, unless disturbed, turkeys don’t travel all that far throughout the day. Think about it. They have no schedule. They’re in no hurry. We shouldn’t be either. Learn to let them walk away without chasing after them. They’ll be back. Just be patient. Lack of patience ensures turkeys will live to see another day. Learn to sit tight and be patient. There’s honestly no better time to kill a turkey than during the mid-day hours. Sure, all the action and gobbling seems to take place at daybreak from the roost, but more times than not, those roost hunts don’t pan out. It’s hard to change a turkey’s mind in the morning. He’s gonna follow those hens wherever they lead. However, during the hours of 10am-2pm, gobblers are much more willing to play the game. Mid-day gobblers tend to be alone and looking, making them vulnerable to your calls and decoy setup. If it doesn’t happen from the roost, take a break. Go eat breakfast. Come back at mid-day and setup. Call periodically to let potential birds know you’re in the area. 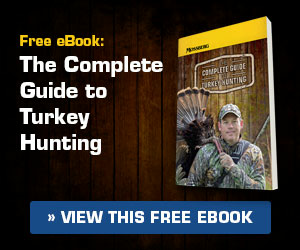 Don’t miss the opportunity for success that often comes from turkey hunting at mid-day. A lot of turkey hunters blow it each spring simply because they failed to learn what their gun can do. They never shoot a pattern down range to see how their gun will perform at various distances. Be sure to take the time to pattern your turkey gun. Shoot a variety of loads at various distances to know exactly what you can expect out of your gun. Know your range. Know your gun. Know you can kill a turkey when he walks into your setup. Be sure you know how your gun will perform before you head to the woods. Prepare ahead of time to make sure your gear is in check and ready to go head to head with tough toms this spring. Remember, turkey hunting is far more of a mental game than it is a display of calling skills and fancy decoy setups. Learn to anticipate their next move and you’ll stay ahead of the game. Keep your wits about you, be patient, and be in the right place at the right time to tag more turkeys this spring. 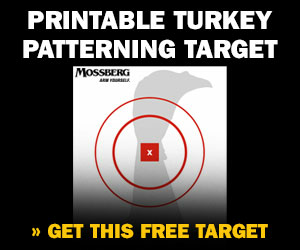 Be prepared this season with one of Mossberg’s Turkey Shotguns and a Free Printable Turkey Patterning Target.